We offer many services, all of which are delivered by experienced and competent technicians. Services are handled directly by the owners or by trusted longtime foreman. Simply, we refuse to allow untrained and incompetent people to work for our company, you will not have to wonder if the guy coming "knows what he is doing" It is our passion and goal to offer unparalleled service to our customers, no exceptions! We don't just pump the tank we clean it! We have a state of the art septic pump truck, I know, sounds crazy right? But this truck cleans the septic tank or cesspool removing the sludge and solids in half the time as a conventional septic truck. In addition we scrape the bottom of the tank or cesspool removing everything, after the cleaning we give a quick inspection to check the baffle and other components to make sure that they are working properly. We clean all septic effluent filters during septic pumping service at no extra charge!!! When performing Title 5 inspections we take great care and attention to your property, we understand that your home may be going for sale and do not want to create more work for an already stressful situation. Call or e-mail for a free confidential consultation of your septic system, there are many variables that take place during an inspection, giving yourself plenty of time to deal with these variables is the best way to prepare your home for sale. In most cases these variables can be addressed. 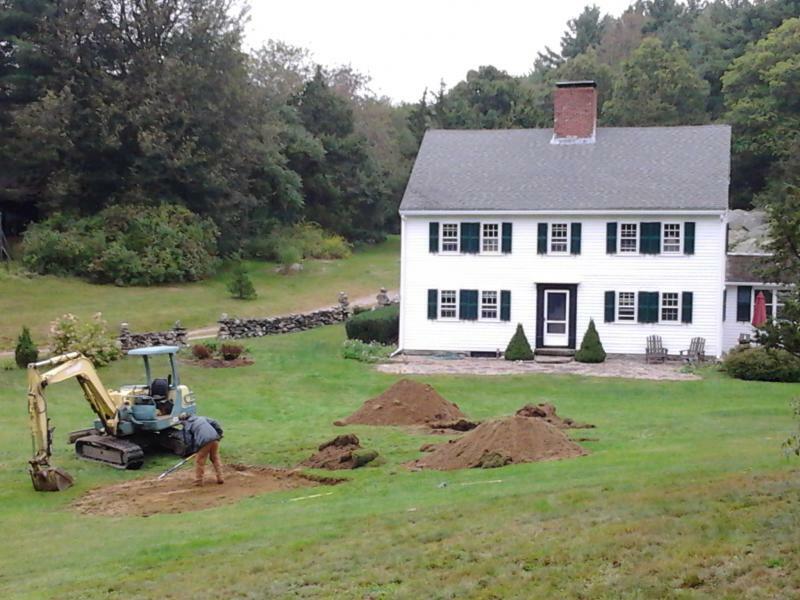 We are licensed to install and repair septic systems in most towns on the North Shore. We provide quality work and competitive pricing. Installing the system properly is not the only thing on our mind, your yard, your budget and your peace of mind is our top priority. Give us a call or e-mail so we can give you a quote. 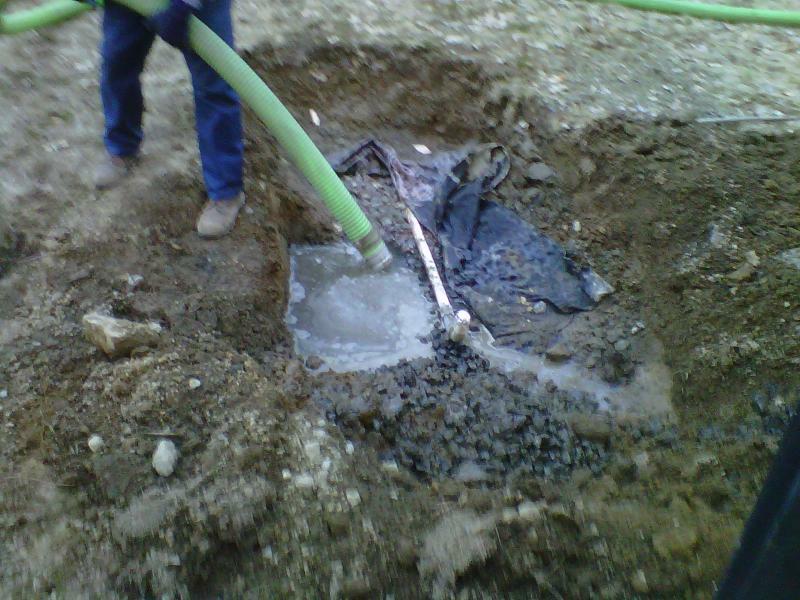 Our installation expert is a managing partner, Milton Hamilton has been a septic system installer for over 30 years. We also provide general excavation including foundations, waterlines, electric utility construction and general sitework. 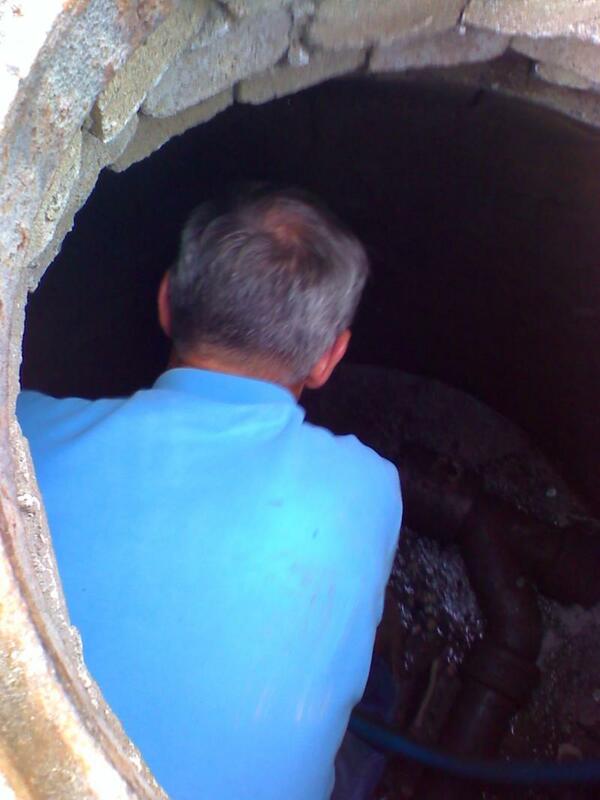 We work with many septic system design engineer's and we can lead you in the right direction. There are BIG firms and small firms, each have their place. We can help you save time and money on the next project with the right referral. We provide soil testing, (ABOVE), we try to keep the area neat and clean! We offer other obscure services like underground utility pipe inspections, dye testing for problem lines and drain mapping, odor diagnostics and a whole other host of odds and ends, if you have a sewer or septic issue call us and we can check our bag of tricks! FAILED LEACHING FIELDS FIXED, SAVED AND WORKING AGAIN!! We have a very unique machine that is designed to fix, flush and remediate failed leaching components of residential septic systems. With this piece of equipment and MASS DEP approved biological agents, we can save that backed-up and or failing leaching area. We have many customers who would be prepared to share their experience with you on how our method and equipment saved them from putting in a new septic system, saving them time and money! We install, repair, diagnose and maintain residential sewer and septic pump chambers, the next time your alarm goes off give us a call to get you back up and running. Pricing for services varies please call for prices, no bull, upfront pricing and quotes with no on site changes. All work is performed by guys who know what they are doing, they are ready and willing to answer your questions and "KEEP YOU IN THE LOOP"